In today’s CyclingTips Daily News Digest: The Status of Women’s Cycling – Part 1: A Discussion with Iris Slappendel; British Cycling CEO steps-down earlier than expected; Nicole Cooke to give testimony to British Parliament committee; Promising British cyclocross racer passes away; Former U23 World Champion dies of heart attack; Thalita De Jong out of World Championships; Equal prize money for 2017 HSBC UK National Women’s Road Series; Boonen to ride disc brakes during final season; Sport doping documentary that began with cycling premieres at Sundance; Multiple lawsuits filed over new Lemond carbon fibre company; Wiggins says reality TV decision based on maintaining fitness; Telenet UCI World Cup Hoogerheide highlights; Backstage Pass – Tour Down Under final stages. 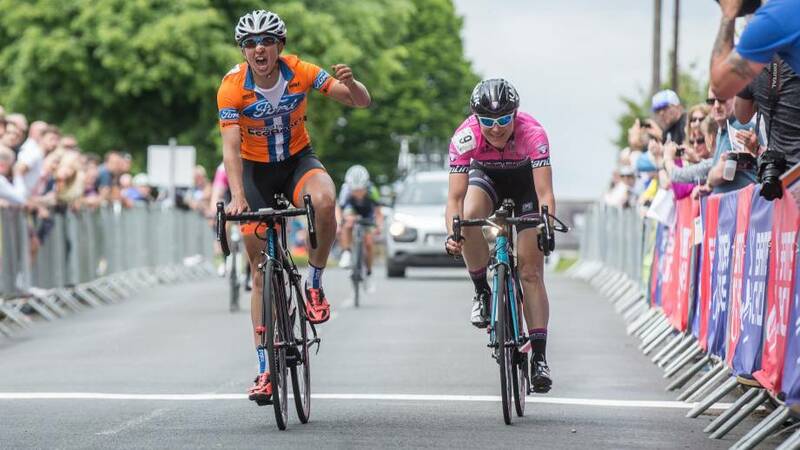 British Cycling announced that the prize money for the 2017 HSBC UK National Women’s Road Series will be equal to the men’s Spring Cup and Grand Prix Series. “We’re committed to getting one million more women on bikes by 2020 and equal prize money was a big part of this ambition when we launched our strategy three years ago,” British Cycling’s Director of Cycling Jonny Clay said. The series features nine events from April through August. The 2016 series was won by Nicola Juniper of Ford EcoBoost.